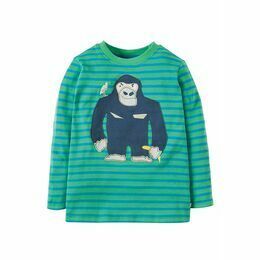 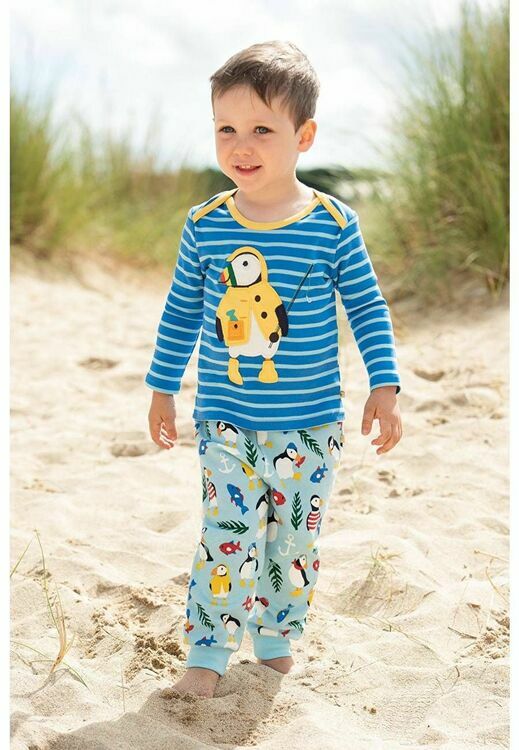 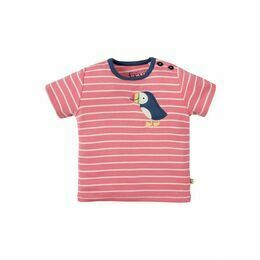 A classic, practical striped t-shirt by Frugi which features a clever envelope neckline that easily opens up so it can be pulled down the body instead of over your little one's head. 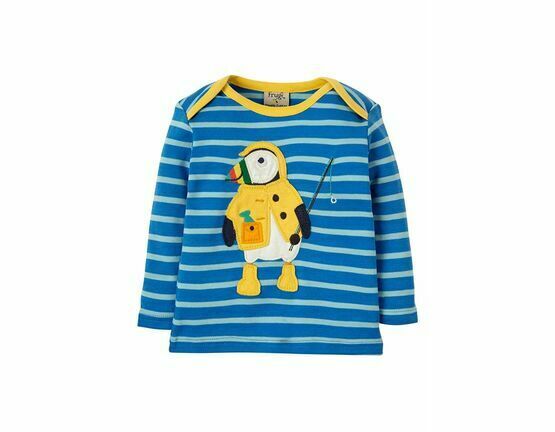 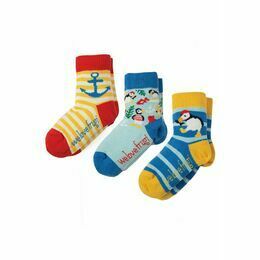 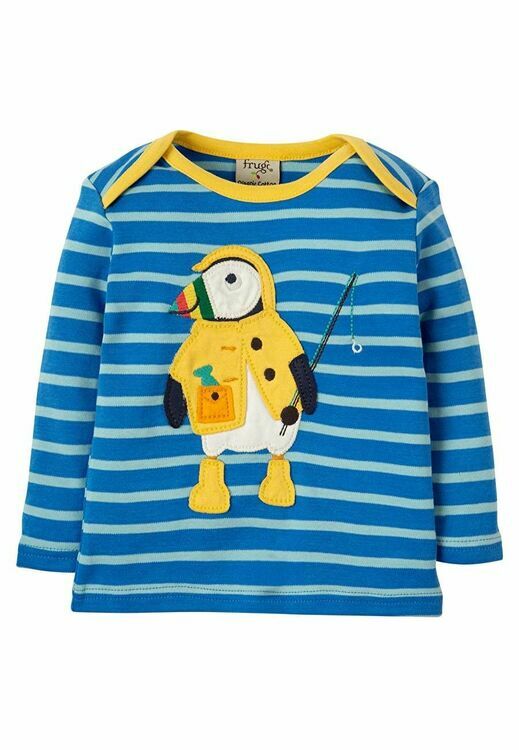 The Bobby Applique Top has a fun appliqued design of a puffin on a sail blue Breton striped background. 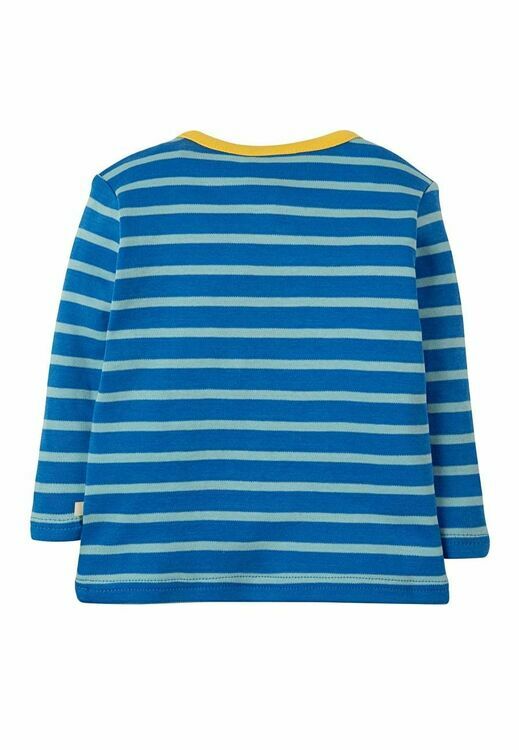 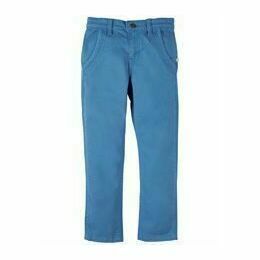 It has long sleeves and a contrast binding around the neck.